I have a complicated relationship with Robert Mapplethorpe’s work. And I don’t mean his flowers and fruit pictures. The way he fetishizes the black male body disturbs me; he makes me a partner in their objectification. I mean, these men and the light with which they are cast and their poses are undeniably beautiful. But they are just icons, and in a way, no different than the glossy eggplant photo or the calla lilies he captured. These men are captured in black and white, on film, in the camera’s eye, and in my own. Is the baggage that I bring to these images my own or is it deeper than that? Back in the early 90s, my then-partner created a video, a mediation on interracial relationships. The video was eventually picked up by the Festival Circuit. The video had showings internationally, including places like Italy and South Africa. I narrated portions of the video, which included a poem by Harlem Renaissance writer Claude McKay, called The Snow Fairy, which could be interpreted as an ode to an interracial encounter. I went to a showing of the video in New York. One of the scenes in the video has me kneading the flesh of my then-partner. When the video finished, the floor opened up for a discussion about what we had seen. One man thought the video was racist. He highlighted the scene where my hands were on the the white flesh of my partner. He thought that scene showed that I was like a slave, pleasing his master. This incident, for me, encompasses all of the issues I have with this section of Mapplethorpe’s work. The black men on display in his work are ciphers, upon which a viewer’s thoughts/agendas may be placed. Like the men in those photographs, I was a willing participant in an act that could be seen as racist, regardless of intent. The fact that I don’t think so is immaterial; in the video, I was just a symbol, an image. 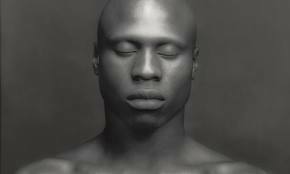 I’ve learned that many of the men that Mapplethorpe photographed were friends, and indeed, lovers with the photographer. Does that change the meaning or doesn’t it? I identify with the photographer and the photographed.